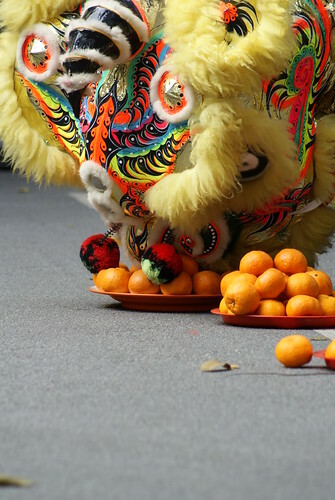 This morning, I had the opportunity to attend a lion dance event. 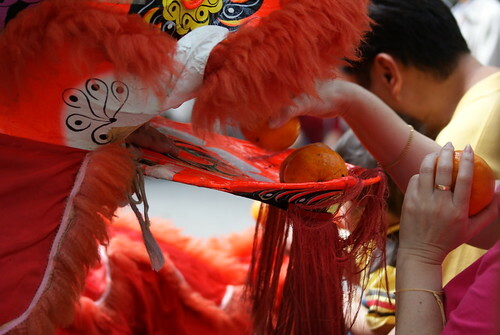 This event is quite popular during the Lunar New Year where organizations or groups of people will engage the services of these talented Lion Dance troupe to perform. 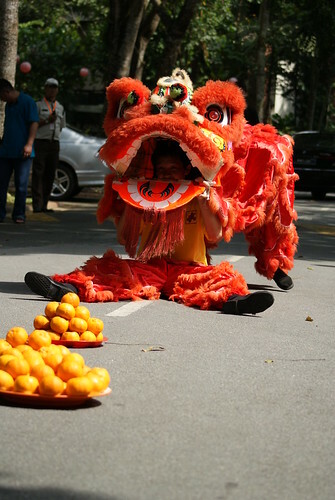 The significance is that the lions will bring prosperity (and other good wishes) to the people. 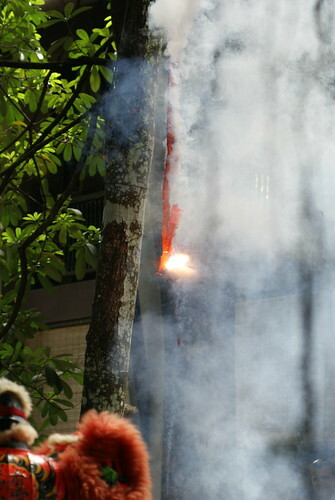 First off, the lions will come and red crackers will be lit and fired away. This is to scare any bad spirits that are lingering around. 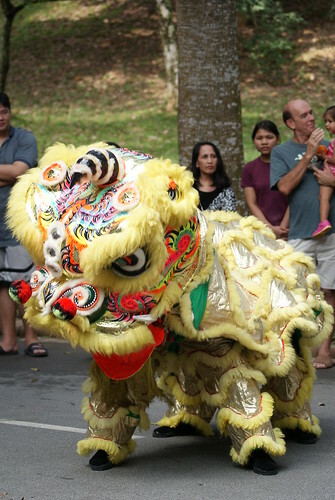 Next up would be the lion dance performance, typically, the lions will walk and dance around the area. 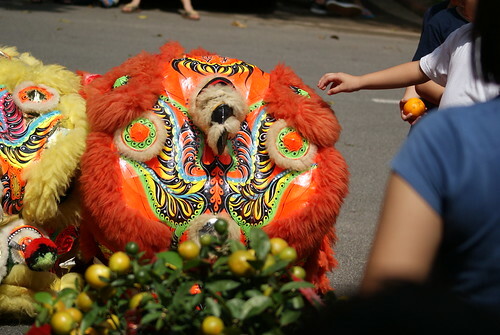 Following that, the lions will perform a play, in this particular case, two sleeping lions dancing around some gold ("kam" in cantonese) and giving them out to the people around them. 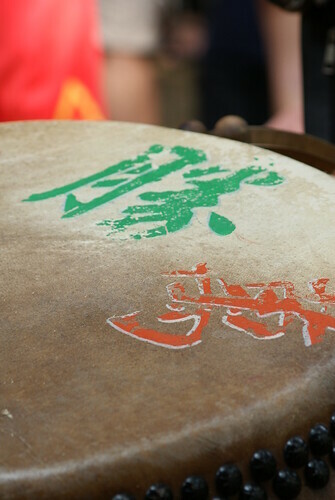 Below are some other images of the drum and candid shots of a child trying to touch the resting lion.